Satisfaction in pausing to enjoy the peaceful moments. Twilight has always been one of my favorite times. Recently, I took a few moments to enjoy twilight in the harbor and the alpenglow on Mt. Rainier. 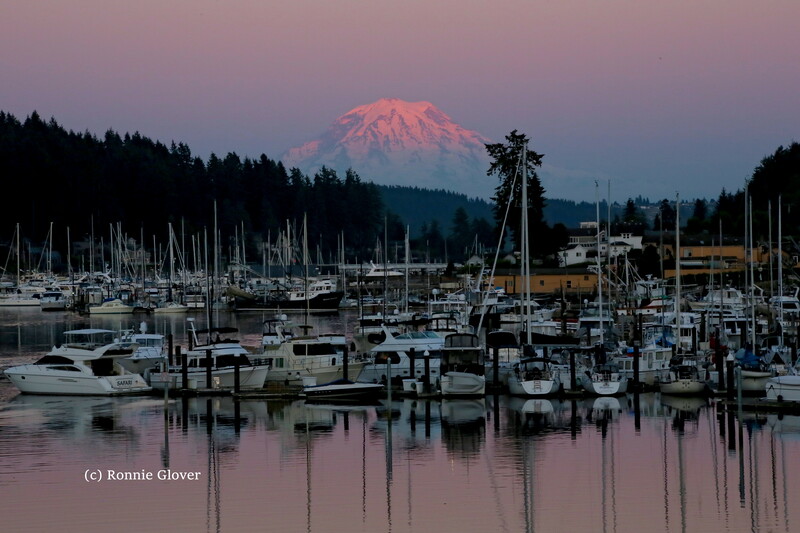 This entry was posted in Nature and tagged alpenglow, boats, gig harbor washington, mountain, Mt. Rainier, peaceful, ronnie glover photography, satisfaction, The Daily Post, twilight. Bookmark the permalink. That’s such a lovely, peaceful shot, Ronnie. Thank you! Made much easier by the subject.